Great looking torpedo wrapped in beautiful dark slightly oily wrapper that has minimal veins on it. The construction is perfect. The pre light draw was very nice with just little resistance and delivered a very cool aromas of cocoa, wood and sweet tobacco. The first few puffs were very cool with no much of strength but few flavors to name, cocoa, wet wood and just a hint of leather and sweet coffee. Half an inch down the flavors profile mentioned before became bolder with medium body of strength and a touch of pepper. Deeper in this third the body increases and the pepper become more predominant with the sweetness of the tobacco gets caramelized and more coffee, leather and cedar and touch of earthiness. Here we start with more cedar and cocoa, caramel and cafe Cubano and pepper tingling the back of the tongue. The body is medium to Full at most. The cigar ends with toffee like sweetness and a fine coffee. there are people out there saying NCs are filled with oak leaves, ok this one wasn’t. pleasent smoke not very complex, and not boring too. It lacks the strenght and body of the smoke, so thats why i will the Belicosos over this one. if you haven’t tried one yet give them a chance they maybe your cup of tea who know!!!!! 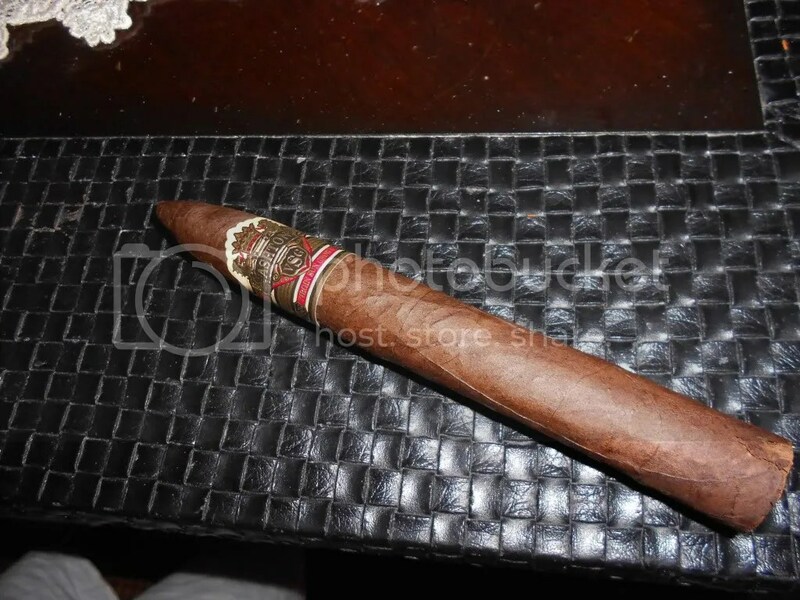 If you ever tried this cigar or have an opinion please leave a comment and Smoke more cigars.